Weeks ago, the Private Secondary Schools Authority (PSSA) in Mauritius sent a circular to all private schools requesting asking them if they would like to license their non-genuine computers running under the Microsoft Windows Operating System. They are offering to these schools the option to buy the Microsoft Get Genuine Kit from a preferred reseller of Microsoft products in Mauritius. However, if their PCs are already equipped with at least a basic version of Windows they are entitled to receive free upgrades to the professional edition and to the next version of Windows. It has not been made clear why the authority has taken such a move but this means that some schools will have to spend a lot of money in buying those licenses. I received an email from Microsoft on the 25th June 2015 clarifying the above issue. The email made clear that Microsoft, the Ministry of Education and the PSSA has reached a Memorandum of Understanding (MOU) that all public and (afterwards) private schools would be able to receive a free upgrade of Microsoft Windows and Microsoft Office at 95 % off price provided that they have a basic Windows License. It appears that some schools (three till now) have had to purchase the Get Genuine Kit which cost them a certain amount of money. Microsoft also provided the information that schools were not forced to abide by this agreement. As a result, some one of these private schools have chosen to go toward Free and Open Source Software (FOSS). Open Source Operating System such as Linux distributions are good alternatives, however is it appropriate to make use of it in our educational system? If I were to write this article ten years back, I would have definitely said: “No way! Buy those Get Genuine Kit” why? Because Linux was not as user-friendly compared to Microsoft Windows at that time. Today things are different, Linux is if I may say as user-friendly as Windows or other popular OS and the User Experience (UX) is pretty much the same thanks to the teams working behind the Linux desktop environments such as Cinnamon, Gnome and KDE. You can even run certain if not most Windows applications on Linux with the help of a compatibility layer. So using Linux should not be a problem. This is the most important factor I think and unfortunately most of the lower-secondary teaching books for ICT are Windows oriented. Remember that Windows and Linux are quite different, so when the books will talk about Start Menu, task bar, Control Panel and all that the teacher will have to orient his/her teaching towards features available in Linux such as, in case of Ubuntu Desktop, the launcher, workspace switcher etc… The accessibility features the teacher will discuss will depend on the desktop environment being used which is not really convenient. Most teachers are very good in teaching theoretical aspects of computing, but some practically lack experience. It’s worst putting them in front of a Linux workstation. So some of the teachers will require some basic training before they will be able to teach with Free Software in class. In another angle, using FOSS in secondary schools would be a great step ahead. Not only on an economic perspective for school Managers but academically students using Open Source software would earn more since Open Source platforms has much more to offer. Nowadays, almost everything runs with FOSS; your Android phone, smart watches, smart T.Vs, modern cars and more to come with the implementation of Internet of Things (IoT) on a bigger scale. 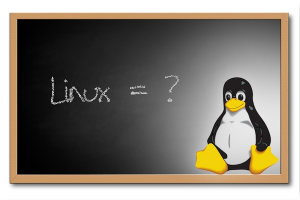 So why not give Linux a try in secondary schools? Provided the above requirements are met and issues are tackled first though. 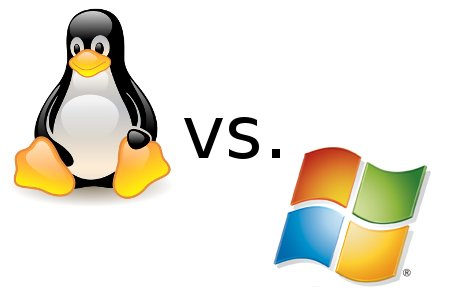 Which Linux distribution to use? Remember Linux is free software right, which means anyone can edit, implement and use the Linux kernel in his own way. That’s why you will find different Linux distributions on-line. 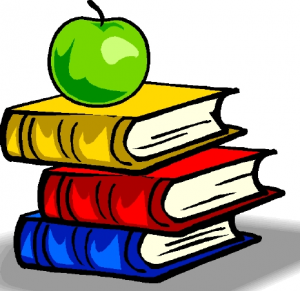 For secondary institutions I would recommend using Debian based distributions such as Ubuntu Desktop and Zorin OS which provides a bigger apps library. However if you would prefer a Windows like interface try Linux Mint with the Cinnamon desktop environment which gives you the ability to install themes to make it look like Windows.